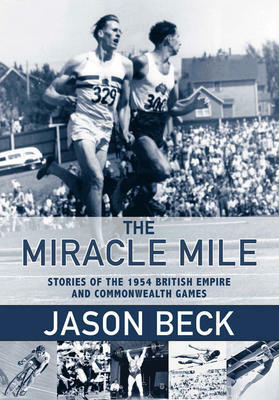 The Miracle Mile written by Jason Beck, the curator at the BC Sports Hall of Fame and Museum, is a masterfully constructed narrative of the first truly international event in British Columbia sport history. The 1954 British Empire and Commonwealth Games (hereafter the Games) was the largest international sporting event to be staged in the province up until that time, and the physical legacies of the games, although disappearing quickly under the destructive hand of redevelopment, can still be seen around the city. 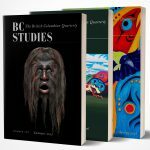 Beck’s history of the Games is not just a detailed representation of a key event in Vancouver’s urban and regional past, but also a thoughtful contribution to our understanding of mid-20th century cultural life in this area of the world. The Miracle Mile follows a narrative chronological structure. The first two chapters examine the wider social context, organizational background, and the predictably troubled lead-up to the Games, while the final eight chapters are constructed chronologically to follow the week-long event day-by-day. Colourfully embedded within the chronological narrative, however, are the individual stories of the athletes and the drama of their competitive events. Beck’s style is journalistic and informal, and this approach makes for an engaging – often exciting – read. Space does not allow for a detailed retelling here, but several stories stand out, such as the poignant tale of Nigerian teenage high jumper Emmanuel Ifeajuna who won his country’s first-ever gold medal in a major international sports event at the Games. Tragically, after returning to Nigeria as a national hero, Ifeajuna became involved in oppositional politics and would eventually face execution as part of a defeated revolutionary movement in the 1960s. However, the event for which the Games will be remembered, and the plotline that Beck cleverly builds upon in each preceding chapter, was the mile race that saw the epic confrontation between star middle-distance runners Roger Bannister from England and John Landy from Australia. Billed as the “Race of the Century,” both runners had recently broken the four-minute mile barrier and the Vancouver Games would be their first head-to-head competition. Beck fills his canvass with historical detail, including the differing characters of Bannister and Landy, their opposing approaches to training and preparation, and how the Vancouver public, through the local sports press, would come to hold very divergent views on each runner. The infamous few minutes that unfolded on the hot Empire Stadium track that Sunday afternoon are described with a poetic passion by Beck – an early lead, a world record pace, a Canadian in the mix, a turn to look, a final kick, and Vancouver was on the world’s sporting map. To be clear, The Miracle Mile is not a piece of academic sport history. Beck rarely connects the events in Vancouver to the ongoing debates in the field of sport history, such as organized sport and the growth of consumer capitalism, or the formative role of sporting attachment in identity construction, including gender, ethnicity, and other self-presentations, or the emergence of local, national, and ultimately global structures and relationships in sport. But the seeds of those deeper understandings are in fact littered throughout the text. Thus, The Miracle Mile does reflect the minimal levels of commercialization and commodification around the Games, the barriers faced by women competitors and attempts by some – including Canadian field athlete Jackie MacDonald – to push beyond those boundaries, and of course the profound ‘whiteness’ that exuded from the official residents of the then-isolated city of Vancouver. In the end, Beck carries these thoughtful elements within a readable, lively, and engaging history of mid-century Vancouver. Halfmoon Bay: Caitlin Press, 2016. 288 pp. $29.95 paper.